Article Marketing is well know for the ability to drive large amounts of traffic. But did you know that Article Marketing is great way to create information products as well? Allow me to walk you through 7 steps to creating your information products with Article Marketing. I think you will be pleasantly surprised by what you can do with just one article. Step 1 – Choose a specific topic in your niche – While it may sound like the opposite of what you should do, the reality is the more narrow the topic the more hungry customers you will have. Do not try to be all things to all people. Step 2 – Come up with 7 tips for that particular topic – If you can only get 3 – 5 that’s OK. The goal is to come up with as many as fit for your topic. Step 3 – Add about 60 words for each tip – Explain how to use each tip and the advantages of doing so. Remember, it’s only 60 words a tip. Do this 7 times and this gives you a good article to promote your new product. But we are getting ahead of ourselves (only a little bit, though). Step 4 – Turn each tip into a chapter – Go into more depth for each tip. Provide examples and perhaps include case studies, use quotes that relate to each tip and explain the quotes. Do this for each article and you now have a 7 chapter ebook. Step 5 – Create and hold a teleseminar – You already have the outline and content created, now you are going to speak it on a teleseminar. Make sure you record your teleseminar as this will become the audio portion of your info product. By the way, it does not matter how many people will be on the teleseminar, the recording will be the same. Step 6 – Create a 7 tips video – Create a power point slide for each tip. Record the slides with you explaining each tip. This is called a screen capture video. You now have a video component to your info product. Step 7 – Now you bundle your 7 chapter ebook, your teleseminar based on your 7 tips, and your video based on your7 tips, and now you have your multi-media information product ready to go. And remember, you created your multi-media product beginning with just a 7 tips article. And now I would like to invite you to claim your FREE Instant Access to 2 of my Instant Article Creation Templates when you visit http://www.TheArticleGuyBonus.com. 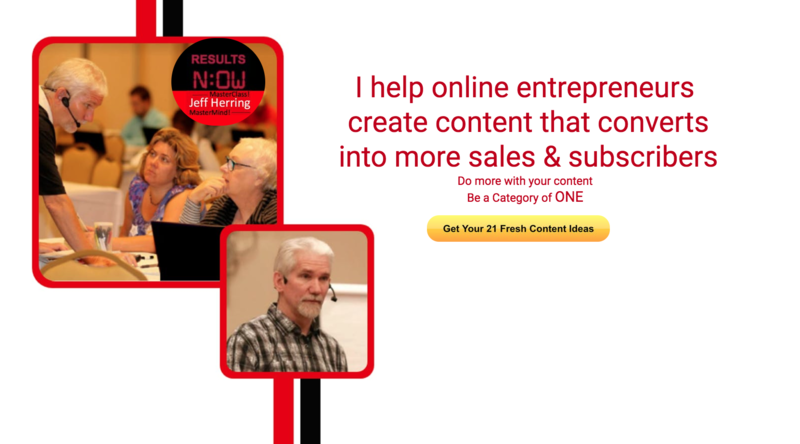 You’ll get get two “plug-n-play” article templates – just plug in your info! 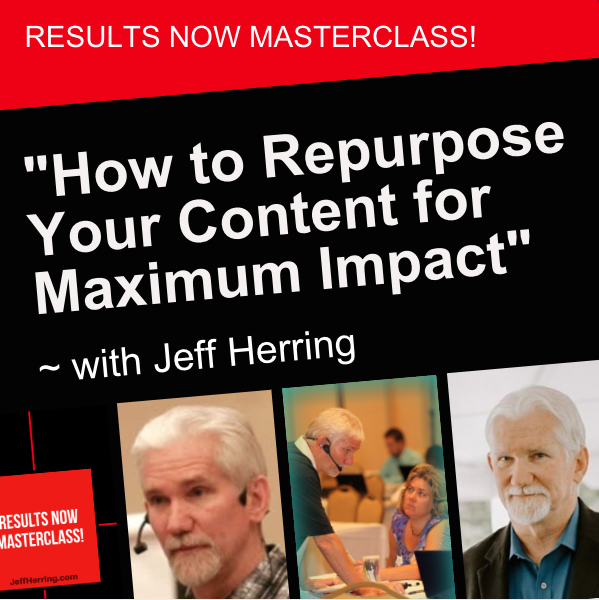 And you will also get a 30 minute Audio Replay of a teleseminar about writing more articles in less time than you ever thought possible. 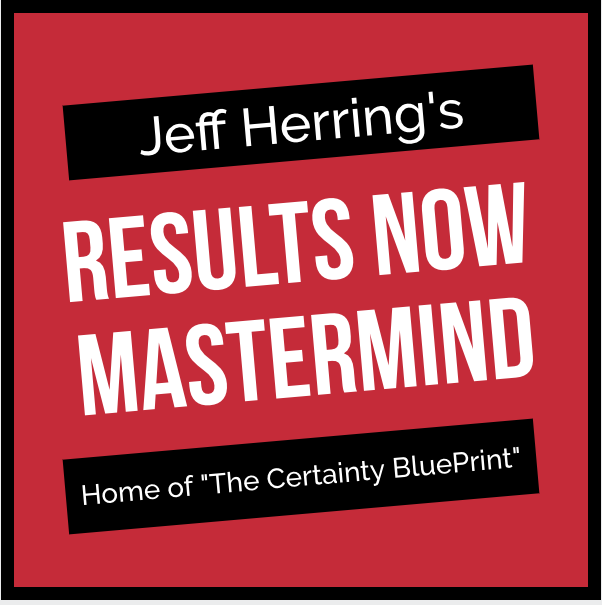 From Jeff Herring – The Article Marketing Guy and The Great Article Marketing Network.